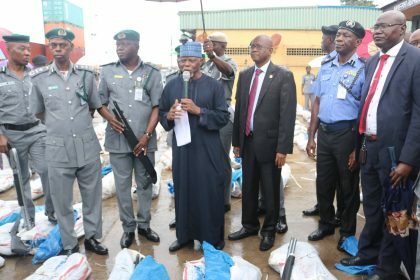 The Operatives of Nigeria Customs Service Tincan Island Port Command, on the 6th of September, 2017 made another spectacular seizure of a deadly 1 X 20 feet Container laden with 1,100 Jojef Magnum Pump Action and Jojef Magnum Plastic Single Barrels Hunting Gun Pump Action Rifles. 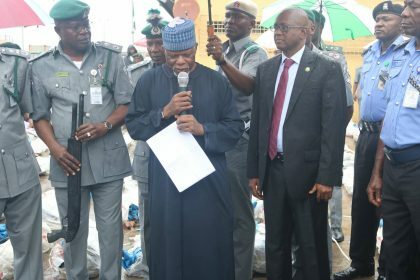 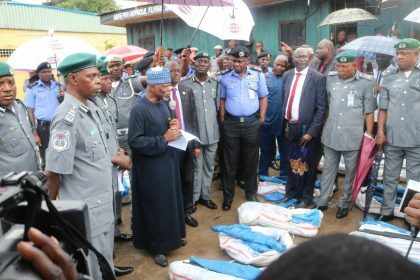 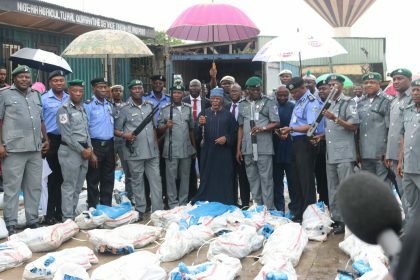 The Comptroller-General of Customs, Col. Hameed Ibrahim Ali (Rtd) displays the seized rifles at a Press Conference in TICP, Lagos today Monday 11th September, 2017. 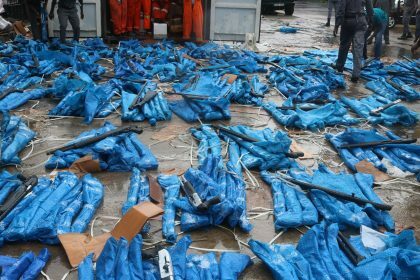 Recall early this year there were 2 sets of cache of pump action gun that was seized by Nigeria customs in Lagos command.